Ukraine violence tests U.S.-Russia relations, CBO report on minimum wage, political action money during election season and Mitch McConnell's bid for re-election as part of the 2014 races to watch. Joining Gwen: David Sanger, The New York Times; Jeanne Cummings, Bloomberg News; Amy Walter, Cook Political Report; Greg Ip, Economist. SECRETARY OF STATE JOHN KERRY: (From videotape.) President Yanukovych has the opportunity to make a choice. The choice is between protecting the people that he serves – all of the people – and a choice for compromise and dialogue, versus violence and mayhem. MS. IFILL: As a bloody, fiery standoff plays out in Kiev’s Independence Square. RUSSIAN AMBASSADOR TO THE UNITED NATIONS VITALY CHURKIN: The opposition didn’t really want a dialogue, didn’t want to settle the situation within constitutional – a constitutional framework. They wanted to take power by force. MS. IFILL: The U.S. and Russia are watching closely. The uproar in Ukraine, is it over or just beginning? While at home, the political battle stations center on the minimum wage. PRESIDENT BARACK OBAMA: (From videotape.) This is not just good policy, it also happens to be good politics because the truth of the matter is, the overwhelming majority of Americans think that raising the minimum wage is a good idea. 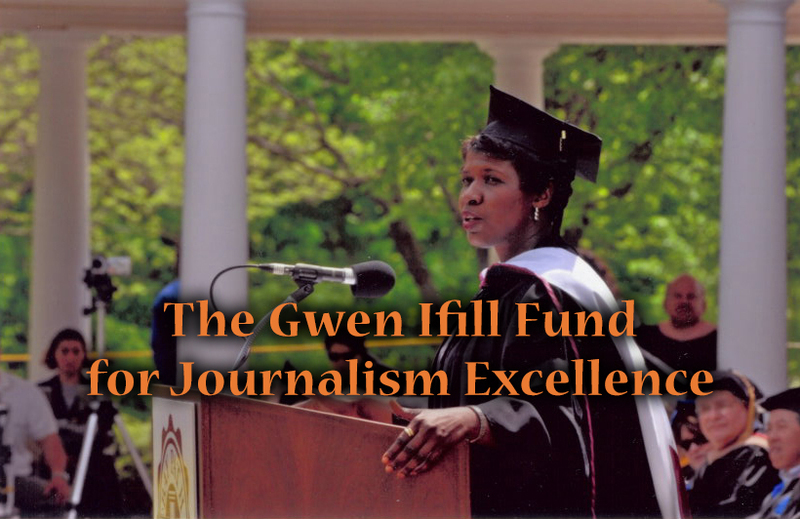 MS. IFILL: And on what it will take in money and in positioning to win in 2014. SENATE MINORITY LEADER MITCH MCCONNELL (R-KY): So this fall you’ll have a choice. Winners make policy and losers go home. MS. IFILL: Covering the week, David Sanger of The New York Times; Greg Ip of The Economist; Jeanne Cummings of Bloomberg News; and Amy Walter of the Cook Political Report. ANNOUNCER: Award-winning reporting and analysis, covering history as it happens. Live from our nation’s capital, this is “Washington Week with Gwen Ifill.” Once again, live from Washington, moderator Gwen Ifill. MS. IFILL: Good evening. This week’s rapidly unfolding events in Ukraine proved to be a test of post-Soviet democracy, an experiment in European unification, and a reminder that, try as he might, the U.S. president does not have the luxury of focusing solely on domestic affairs. As things stand tonight, Ukrainian President Viktor Yanukovych has agreed to curtail his powers and parliament has voted to free one of his chief adversaries. But it took a lot to get to this point, and all eyes are still on Russia. Bring us up to date on where we stand tonight, David. DAVID SANGER: Well, we’re better than where we were a day ago, when there were 70 dead in the street and it wasn’t clear whether this would continue to escalate through the weekend. So there’s been this very fragile deal that’s been put together. The highlights are that there would be an election by December, that the government would be kept from declaring a state of emergency, that they’d go back to the 2004 constitution which gave more power to the parliament, less to the president. But what we don’t know is whether this is going to hold together. Some of the right wing, somewhat fringe groups but quite powerful, have already announced they’re rejecting it, they won’t give back the government buildings. Some of them want President Yanukovych to resign. Yanukovych himself has left Kiev and gone back to sort of his home and safe district. We don’t know for how long that will be. MS. IFILL: President Obama spoke with President Vladimir Putin of Russia today, all eyes on Russia as I pointed out. MS. IFILL: What did they talk about? Did they come to an agreement that this is a good idea? MR. SANGER: Well, the briefings that the administration was giving late this afternoon said that it was not a contentious phone call; that President Putin had said that he would go along and try to help make sure this gets implemented. Now, we have a lot of reasons to doubt that. First of all, Russia was not a signatory to this. They just witnessed the document. Secondly, they weren’t really a player in the negotiations. And then, remember what it is that President Putin said just about nine years ago when he declared at one point the demise of the Soviet Union was the greatest geopolitical catastrophe of the century because tens of millions of Russians were left outside of their territory? He wants Ukraine back in his orbit, and that’s what this is about. And that’s why it’s got these sort of tinges of the Cold War to it. MS. IFILL: David, who has more to lose here, President Obama or Putin? MR. SANGER: I think it’s clear that Putin’s got more to lose. If, for some reason out of this Yanukovych is gone and that in the end the Ukraine moves back more toward the Europeans – remember, this began over what seemed to be a pretty traditional kind of trade agreement with the Europeans – then I think Putin will have suffered a setback because he’s going to think he wasn’t able to reverse that breakup. MS. IFILL: Let’s listen to something the president had to say about this whole big picture earlier in the week. PRESIDENT OBAMA: (From videotape.) Our approach as the United States is not to see these as some Cold War chessboard in which we’re – we’re in competition with Russia. Our goal is to make sure that the people of Ukraine are able to make decisions for themselves about their future. MS. IFILL: That pretty much says it. MR. SANGER: It pretty much does, but even if President Obama does not view this as a Cold War chessboard, it’s pretty clear that President Putin does, and not just Ukraine. I mean, that’s what Syria is all about as well, where you saw the administration declare that the Russians have been actually pretty unhelpful players in trying to get an accord together. And so we’re at the point right now where, first, the reset failed. Now the reset to the reset isn’t doing so well. And you have to wonder whether we’re going to slip back into old habits. GREG IP: David, up until this point, in terms of priorities for the United States in dealing with Russia, it was trying to achieve a political settlement in Syria. Now how does what’s going on in Ukraine affect the likely outcome of Syria? And does Russia become more or less accommodating in what the Americans want? MR. SANGER: I think the big fear, Greg, is that they’re going to become less accommodating. Now, it’s hard to imagine them being less accommodating than they’ve been in recent weeks. (Laughter.) We went through this brief, perhaps illusory moment back in September and October when the Russians helped broker the deal that is slowly moving those chemical weapons, precursors out of the country, but they’ve now reverted to the norm, and there are a lot of heavy weapons that Assad is getting that the Russians are sending. And you’ve got to wonder, if this deal falls apart in the Ukraine and the Ukraine looks like it’s going back into the European orbit, whether or not Putin will do something again. MS. IFILL: What is the White House strategy right now? It seems that it’s been to try not to talk about this, but is there something going on internally in the White House about what they would like to do, we just haven’t seen it? MS. IFILL: Even though Vice President Biden was working the phones. MR. SANGER: He was working the phones, and he’s got a relationship with Yanukovych that they thought that they would try to capitalize on. And I actually think he probably played a fairly important role because he was on the phone for a long time with Yanukovych last night as this negotiation was happening. But in the end, we don’t have very much trade with Ukraine. We don’t have very much leverage there. And so that’s why it’s really Putin’s to lose at this point. MS. IFILL: It’s fascinating, and I get the feeling we’re going to get pulled more and more into it, not less and less, as time goes on. MR. SANGER: I think you’re right. MS. IFILL: Well, back here in the United States there was a yet another big dust-up over yet another Congressional Budget Office report. Last week it was about the cost of health care. This week it was about the potential cost of another policy the president favors: raising the minimum wage. Will it raise wages? Yes. Will it cost some jobs? Apparently also yes. That’s all it took for another chapter to unfold in the inequality debate. MR. IP: Well, what the Congressional Budget Office told us is probably what most economists would also tell you if you asked them what happens if you raise the minimum wage. Well, you make something more expensive, people will buy less of it. So essentially what they said was, the vast majority of low-income workers, about 16 million people, will get a raise – actually, a very big raise, anywhere from 10 to 20 to 30 percent. But a very tiny number of people – they thought somewhere between zero and a million, but they would guess around a half million people – would lose their jobs or not get jobs. And that is not that far off what the conventional economic wisdom was. Now of course this causes a problem for the White House, because have portrayed this plan as basically a free – that is to say, no taxpayer money involved – way to bring up the lot of the – you know, of the lowest-income workers in the country. Now they have to deal with a very credible report that says, well, that the price of that some of the people you’re trying to help are actually going to end up without jobs. MS. IFILL: When it comes to the minimum wage, is this something where the White House is willing to step back and let the private sector take the lead? MR. IP: I don’t think so. I mean, you have heard some – you’ll hear the White House talk about companies that they think have been very progressive on this front. They’re always mentioning Costco, for example, a company that has decided to pay its workers significantly above the minimum wage because it believes it makes them more productive. This week we heard the Gap say that in many states that they will start paying at or above the minimum wage. Wal-Mart’s kind of the sidelines, not saying one way or the other. But the truth of the matter is, you add up all these companies, and they are a fraction of the number of people earning the minimum wage. The vast majority of companies will not raise the wage unless they’re forced to. MS. CUMMINGS: Now if they don’t get this – and the White House has made clear – and the Democrats in Congress – that they want to make income inequality a major issue in this campaign – this is the first attempt to address it. It’s the centerpiece at the moment. If they don’t get it, what else do they have? MS. CUMMINGS: Don’t some Republicans like that idea? MR. IP: Well, actually, yeah. In fact, there is some hope that there could be movement on that. Marco Rubio is out there saying that that is something we should look at. You’ll hear him talking about universal pre-K and so forth. But I think the hard truth for Obama here is that the stuff that really matters requires Congress to spend some money, and he has a Congress that doesn’t want to spend any money. MS. WALTER: But we’ve been going back and forth on minimum wage. It’s not like we haven’t raised the minimum wage before. So why does this come as a shock to some people that economists are divided on this? MS. CUMMINGS: Stayed awake in those classes. MR. IP: Yeah, that was the one – that was one class I didn’t sleep through. So – but it turns out that – and that was the traditional view; that, yes, if you raised wages, the majority of people would get a raise, but some number of people would lose their jobs. But as they began doing careful studies of places – for example, they compared New Jersey, which raised its wage, to Pennsylvania, which did not; they looked at county-by-county comparisons; they looked at Britain, where they raised it significantly in 1999 – and they were unable to find really dramatic effects. They would range from zero to something very tiny. Now the Congressional Budget Office has given us a number which is probably at the higher range of those effects, but it’s – if you just look at the evidence, for a variety of reasons, it appears that it does not lead to widespread layoffs. MR. SANGER: Greg, the traditional way of taking the politics out of this kind of thing is to index benefits – so Social Security, everything else – index to inflation. That’s never been the case with the minimum wage. Would it have made a difference if it was? And would that be a way of reducing the political impact here? MS. IFILL: But for some reason inflation adjustment was never part of this. Why not? MS. IFILL: His proposal would. MR. IP: His proposal would, yeah. But there’s actually another way of going about it which a lot of people are saying we should be looking at instead, which is, instead of putting it in the hands of Congress, to have basically a bipartisan commission, a group of experts, decide this question, which is what they have in Great Britain. And they would make sure that it was done in a way and with timing that would be least harmful to the people you’re trying to help. MR. SANGER: It sounds like base closings or something. MS. IFILL: Well, let’s move on to straight politics, because we all know that politics comes down to money, right? But now we’re beginning to see it’s not just about the cash; it’s also about who’s giving the cash and for which issues. So the American Opportunity Alliance, a group of pro-business Republicans, is raising money to support gay rights, immigration reform and Israel, and a group calling itself NextGen Climate Action, a collection of liberal billionaires, is raising money for environmental issues. They join Charles and David Koch, the conservative fundraisers, who left an enduring imprint on the 2012 election. So how does – how big a shift does this mean in the way that we raise money and fund campaigns, Amy? MS. WALTER: Right. Well, the expectation is we’re going to have a $2.4 billion worth of spending on – just on advertising in this next election. What it’s done is it has taken advertising from something that you saw in the fall, right – you turn on your television; there are your campaign ads – to something that you now see literally or two years ahead of the election. We had our very first ad run this election 613 days before the actual November date of this election. It was run in Arkansas, one of the top states – most competitive states in the country. It was an ad run by the Club for Growth, Republican group, against Senator Mark Pryor. MS. WALTER: I mean, those people in Arkansas are going to never be able to turn on their television without this. So we’re seeing ads coming earlier. We’re seeing more ads running earlier. At this point – in January we’ve already had 9,500 ads run in 23 states. If you go back to 2010, right, the last midterm election, 6,000 ads were run in 13 states – so more money and coming earlier. MS. IFILL: So, Jeanne, does that mean that we’re paying – it’s because – these ads are candidate-specific or they’re issue-specific? Are they being paid for by these groups we’re talking about, or is it just everyone’s spending their regular money earlier? MS. IFILL: His name is Tom Steyer. MS. CUMMINGS: – Tom Steyer – to promote climate change and in particular kill Keystone. That’s his mission. But if you look, as Amy said, at some of the early advertising in Kentucky, then those – down there there are little super PACs all about one race, and that’s about the Mitch McConnell race. And they’re running ads about the candidates. So it is a mix of both. MR. SANGER: Are there any billionaires we haven’t heard from here? I mean, one of the things about the Silicon Valley boom, among others, but not just Silicon Valley, is, we’ve created a fair number of billionaires. There were two created just yesterday when Facebook bought WhatsApp. Are we about to see more billionaires enter this? MS. CUMMINGS: We probably will see more billionaires get in the game or see very wealthy people band together around an issue. One of my personal favorites this year is “Top Chef’s” top chef there – or his judge, the top chef, Tom Colicchio, is trying to put together a super PAC to go after people who voted to reduce food stamps. So this could take on all kinds of forms, and candidates could have people coming at them from everywhere. In the Kentucky Senate race, here we are, you know – we’re – we’ve got the primary in May, the general forever away, and there are already a dozen groups advertising. MR. IP: How likely is all this money actually going to change any particular races? I mean, I realize Keystone may be very important to one billionaire, but is it going to tip one, you know, district or state one way or the other? MS. WALTER: Well, what’s going to be interesting to see – if there are groups that have an agenda. They say, we want to make sure this happens. So we’ve seen this – for example – especially in the environmental community. They know they want to get certain laws passed, but they know that those issues themselves are not particularly – they’re not going to move voters in the right way. So maybe they’re going to talk about the minimum wage, or maybe they’re going to talk about health care. Maybe they’re going to talk about something else that’s going to move voters or run negative ads against candidates instead of talking about that specific issue. MS. IFILL: Do we have any evidence so far that this has influenced the outcomes? Like, have we – can we look at cases where this big money has come in and people have won or lost as a result? MS. CUMMINGS: That’s right. Well, you have to look at the Senate for that. In the House races, it’s much tougher, OK? It’s not that it can’t be done, because their districts are so safe that it’s very hard to change the dynamics in those races, and in one small town in Iowa, Americans for Prosperity, David and Charles Koch’s organization, went in, did this, you know, Washington-style ad campaign, and they lost every single race because the people got mad. MS. IFILL: So where is all this money going, you may ask? In 2014, at least, into a collection of critical contests that could determine the future of the House, the Senate, a bunch of state houses and what remains of the White House agenda. We’ll be covering those races to watch all year long, beginning this week with a three-way fight brewing in, as Jeanne mentioned, Kentucky, where Senate Minority Leader Mitch McConnell must defeat a tea party primary challenger while at the same time beating back the Democrat who is targeting him this fall. Here is a taste of the debate from McConnell, Democrat Alison Lundergan Grimes and tea party Republican Matt Bevin. SENATOR MITCH MCCONNELL (R-KY): So this fall, you’ll have a choice. You want to take my desk and move it over on the other side of the aisle with somebody who is going to make Harry Reid the majority leader of the Senate – the play caller in the Senate, or do we want a leader of the majority from Kentucky who believes in coal, who believes in the kind of America that I think all of you and I think we ought to have? So elections make a difference. ALISON LUNDERGAN GRIMES: Kentuckians don’t view this race as a toss-up. They are ready to toss out their senior senator, someone who has failed to put them first and instead has been looking out – the only job that he’s focused on keeping is his own, and the people of Kentucky are ready to finally have a choice and a champion instead of a chatterbox in Washington, D.C.
MATT BEVIN: He’s a big-government guy. He’s a moderate, at best, except for when he’s running for re-election. MS. IFILL: So it seems to me that we have – we have the tea party, we have the mainstream Republican challenger, we have the main Democratic power, and we have the powerful Washington insider. MS. CUMMINGS: Well, it is – Kentucky is exactly right for you to focus on, because this is – this is a huge race for so many different reasons. The Democrats want to take out Mitch McConnell because he’s Mitch McConnell. This is about slaying the giant. Years ago, the Republicans took out Tom Daschle, who was the House (sic; Senate) majority leader, and that’s like, you know, the Redskins beating Dallas. (Laughter.) It’s just a big win. It’s also important because the Republicans have to take six seats – a net of six seats, and they have a strategy for doing that. A part of their original strategy that was not on the table was that one or two – and in fact, it’s two – of their own incumbents would face credible challenges. That could undermine their strategy. MS. IFILL: But is Mitch McConnell truly vulnerable, or this just a Democratic fantasy? MS. IFILL: Twelve votes, I think. MS. WALTER: – a little bit higher. Yes, there we go. So you think, this is – all that Mitch McConnell has to do is run against Democrats, run against Obama and win. Alison Lundergan Grimes has a good story to tell. She comes from a family that’s well-known – a political family. But more important, what Mitch McConnell represents – it’s not about Republican or Democrat, it’s that he represents somebody who has been there for too long, right? He becomes part of the establishment. That’s the issue in this race. The most recent polling we’ve seen here not only has the race tied, but has McConnell’s approval rating lower than President Obama’s rating in Kentucky. MS. IFILL: And when you say tied, you’re talking about the general election? MS. WALTER: The general election tied, yeah. MR. IP: Has it started to affect to McConnell’s ability to do his job in Washington? MS. CUMMINGS: Well, we certainly saw – both McConnell and Bevin didn’t have very good weeks where they got in the last weeks – they’ve got in tight spots. And for McConnell, it was being forced by Senator Ted Cruz in filibustering the debt ceiling vote. McConnell was then forced to cast a vote, and the plan was for no Republican to cast a vote on that, because lifting the debt ceiling is like lighting a fire underneath of the tea party people, and he was forced to do so. As part of the leadership, he chose to vote to allow the vote to proceed. He voted against it ultimately, but he had to vote to cloture to let it proceed. And that was immediately an issue in Kentucky. MR. SANGER: So if you’re Alison Grimes, what do you do to make this work? As you point out, this is Kentucky, and so she’s got to run on a very unusual kind of platform. MR. SANGER: To help her, yeah. MS. WALTER: Yes, to help her out. And she has to walk a very fine line. You heard Senator McConnell talk about coal, right, and climate. Now, what the president and a lot of Democrats want to do, and Tom Steyer wanted to do on the environment is not what works in Kentucky. So she has to have her own identity there. And you know, this is – she’s a first-time candidate. She’s a young candidate going up against a guy who has done this for many years. They’re going to come out guns blazing. Her ability to stand up and take that and not falter is going to be really the key. MS. CUMMINGS: But she has won statewide. She’s the secretary of state. MS. CUMMINGS: She knows the state, and she has worked that state, and that is an advantage for her. MS. WALTER: But again, so – running against a guy with – right- she’s gone against, like, pea shooters; now this is machine guns. MS. IFILL: But he’s the one in the left-right squeeze right now. MS. IFILL: He’s the one caught in between the rock and the hard place. So we’ll be back talking about Kentucky before this year is over. Thank you, everybody. We have to go now, but as always, the conversation will continue online. The Washington Week webcast extra streams live at 8:30 p.m. Eastern Time, and you can find it all week long at pbs.org/washingtonweek. Among our topics, progress or lack thereof in this week’s Iran talks. Keep up with developments on the PBS NewsHour, and we’ll see you here next week on Washington Week. Good night. In the days after President Trump fired James B. Comey as F.B.I. 9 hours 56 min ago. 10 hours 49 min ago. 11 hours 56 min ago.